For the first time, the twin island Caribbean nation of Trinidad and Tobago has a woman president. After an electoral college win in January, Paula Mae Weekes, a retired Court of Appeal judge was sworn in on Monday, Latin American network TeleSUR reported. Weekes’ inauguration makes Trinidad the only nation in the region to have a woman as head of state after Chile’s Michelle Bachelet vacated her position on March 11. In her inaugural speech, she pledged to take on these and other problems head on. Weekes, 59, worked in both the public and private sectors after graduating law school. Beginning in 1982 she worked in the Office of the Director of Public Prosecutions for 11 years before going into private practice. In 1996, she became a judge at the Criminal Division of Trinidad’s High Court, and in 2005 she was promoted to the Court of Appeal. She also served as Justice of Appeal in Turks and Caicos for three years. She was also Chancellor of the Anglican Church, where she oversaw all finances. 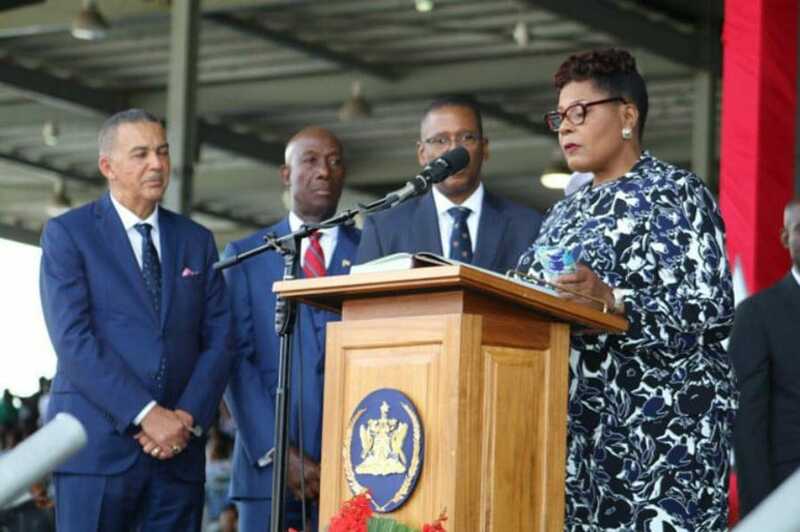 Kamla Persad-Bissessar, Trinidad’s Opposition Party leader, was thrilled about the Weekes’ inauguration, saying the country is now ahead of the United States. T&T is way out front. Female President, Speaker of the House, Senate President and female Opposition Leader. I’m sorry guys…make way. We are coming strong and we are moving forward,” Persad-Bissesar said, according to T&T Newsday.